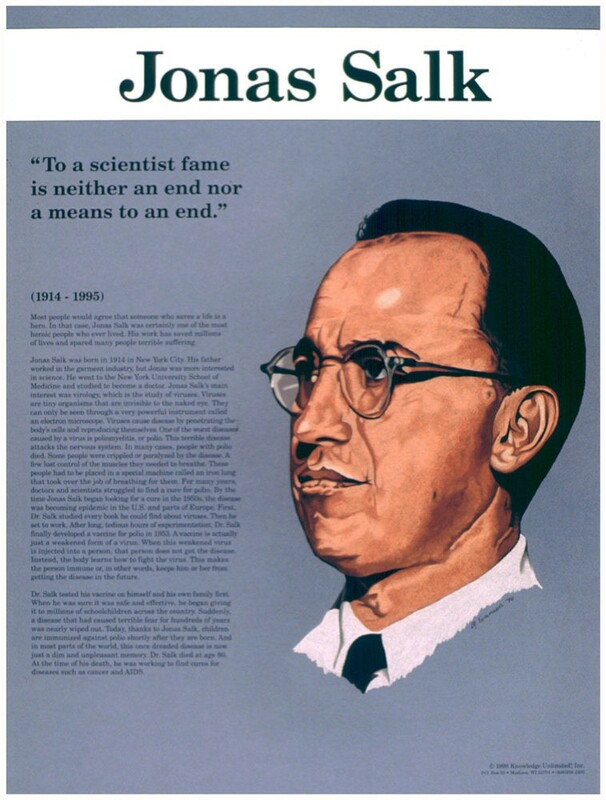 This educational poster features a striking image of Jonas Salk, along with biographical text, and a quote from him saying: "To a scientist fame is neither an end nor a means to an end." 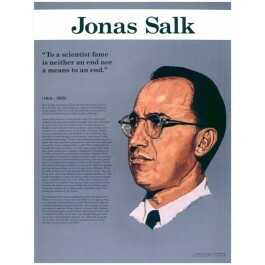 Jonas Salk's work on developing a polio vaccine has saved millions of lives and spared many more from suffering and disability. But many do not know that he cared not at all about profiting from his work. At the time of his death at age 80, he was working to find cures for other diseases like cancer and AIDs. This poster is a great way to introduce students to this great scientific hero.